I'm often surprised, seeing Microsoft Access being used as a platform for applications which would arguably require a more advanced database engine with proper support for multiple simultaneous users. Although I've never really learned it, I can understand why its low barrier of entry can make it a great starting point for new simple data-oriented solutions; and we all know how these tend to grow out of hands. Unfortunately in spite of all the precautions, an Access database can still become corrupt. 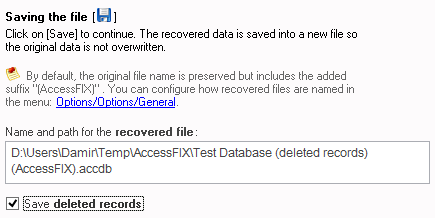 I've had a chance to try out Cimaware Software's AccessFIX tool which can be really useful, when it happens. In contrast to official Microsoft's troubleshooting guides, the tool is very simple to use. This is true even for setup, which doesn't require administrative privileges to install; a very useful feature in enterprise environments, where users usually don't have administrative access to their computer. Once you run the application, a wizard will guide you through the process of fixing a corrupt file. As soon as you select the file to fix, it will show you a preview of the data it managed to read. The authors claim, it can handle even files which don't open in Access any more. Not having any such file at hand, I had to settle with testing only its undelete functionality. 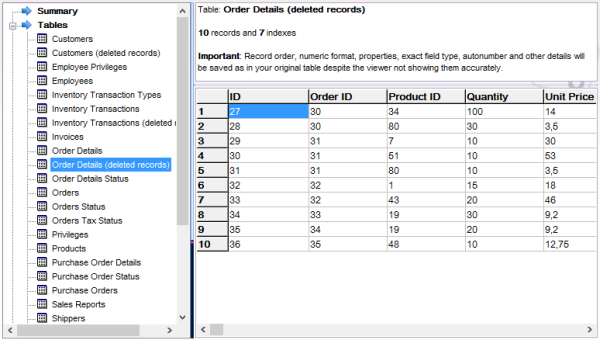 In my case it worked perfectly: both deleted records and deleted tables have shown up completely. Unfortunately the latter have lost their original name, but the data was intact. Of course, this is only possible when data hasn't been already overwritten in the file. As with any undelete operation; the probability of success is higher, the sooner after the delete you stop using the file. If you're satisfied with the results, you can save all the data to a new fixed file. Only at this step you will need to buy the application. I like how this allows you to first make sure it will do what you need, before actually paying for it. Not only that - in case it still doesn't work for you after purchase, they offer to manually restore the file for you or return the money. They seem really confident in their product and want you not to risk anything when you decide for it. Anyway, when saving the fixed file, make sure you check the option to save deleted records, otherwise you might wonder why they are not in the resulting file as I did. It's also worth noticing that they are saved into a separate table just like in the preview inside AccessFIX, and you'll need to move them back to the original table yourself afterwards. Based on my experience, I can find no reason not to recommend AccessFIX if you're struggling with a corrupt Access database. Just download it and try it out; you have nothing to lose. You can also check other data recovery tools in their portfolio, while you're there. They have applications for Excel, Word and digital photos, as well.